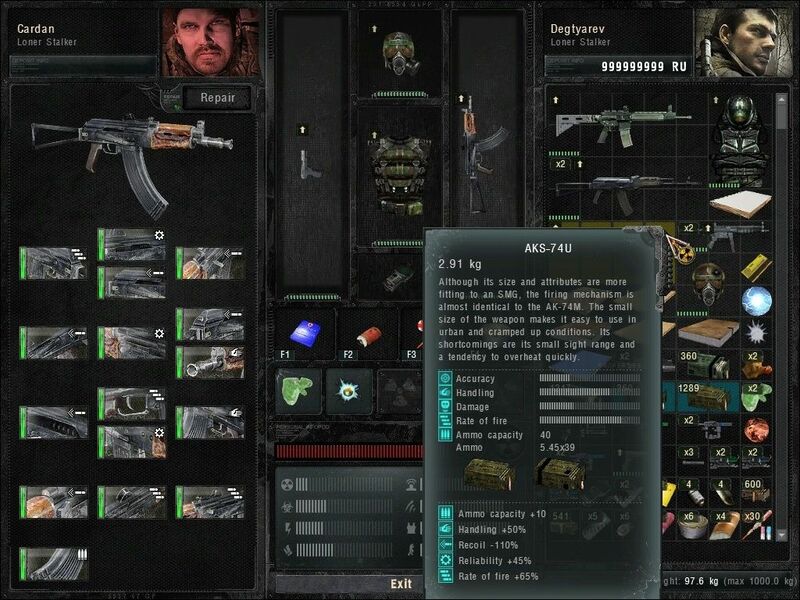 This mod from NovaRain allows you to buy all weapon/armor upgrades. (w_***_up.ltx) or the "upgrades" property in w_***.ltx files. 1.0, 2009/10/24 - Initial release. Thanks to GSC Game World for creating S.T.A.L.K.E.R. series! me to make this mod. Full Upgrades for Weapons and Armors Mod 1.0 has not been tagged yet.